Instead of asking parishioners to turn off their cell phones during worship service, what if they could use them to hear your sermon clearly, no matter where they are in the building, or how well they hear? Venues everywhere are embracing the omnipresent smartphone as an assistive-listening solution and using the devices to get churchgoers more involved in the service. Delivering sound over Wi-Fi to devices parishioners already carry is a simple way to re-engage churchgoers who’ve felt disconnected because they can’t hear or understand. Maybe you’ve got parishioners who spend parts of the service in the cry room or lobby with their children. Or maybe members of your congregation have hearing loss—statistics show that’s likely as high as 20 percent of your congregants. Perhaps your worship service is a popular place, and audio for overflow seating is an issue. Or do you have parishioners who need translation, but have no way to broadcast it? That means you’ve got people who can’t engage and won’t feel connected to the service. You can help them feel that essential spiritual connection through the power of Wi-Fi with audio delivered straight to their smartphones. Audio over Wi-Fi is not only easy for you to install and simple to use, but it’s also affordable. With a small investment—less than $800—churches can deliver clear audio to parishioners in the building with Audio Everywhere from Listen Technologies. All you need to do is connect your audio system—like a TV or microphone—to the local area network using a secure server. It may sound complicated, but it’s as easy as plug and play. Then parishioners connect to your Wi-Fi, download a free app to their smartphones, and start streaming audio. They can listen via their own headphones or earbuds. Or if they have Bluetooth-enabled hearing aids, they can stream straight to their ears. And it’s scalable, so that you can accommodate small groups or thousands of users. Churches can use this as an addition to existing assistive-listening solutions, like radio-frequency systems and hearing loops. Or it can be a standalone assistive-listening solution. Congregants use their own smartphones and headphones, so there’s no equipment for you to buy, store, or maintain. An audio-over-Wi-Fi system is affordable and easy to install, but invaluable for your members who struggle to hear. Once you’ve installed Audio Everywhere, it’s essential to help your parishioners know about the system. ● Publicize: Use your regular news bulletins and website to promote your new listening solution. Also, post signs and posters about the system. ● Teach: Train your staff and volunteers how to use the system and troubleshoot. That way they’ll be ready to show parishioners what to do and answer questions. ● Celebrate: Share the success of Audio Everywhere with online reviews and word of mouth. Laud your increased engagement and attendance at church services. Streaming audio over Wi-Fi to smartphones is an ideal solution for assistive listening. So, embrace the power of the smartphone and help your parishioners connect with their worship community with Audio Everywhere from Listen Technologies. Go to www.audioeverywhere.com/assistive-church/ to get started today! The League of California Cities is a an association of city officials who work together to enhance their skills, exchange information, and combine their resources, so that they can influence policy and decisions that affect cities throughout the State of California. All of its members have several things in common, of which the most important is conducting the business of government with effective communication, transparency, openness, respect, and civility. So it’s no surprise that the League wanted to include Listen Technologies Interpretation products as their grand prize giveaway at their most recent expo and conference. Listen’s products not only allow city officials to better hear each other, but the products also allow concerned citizens and members of California communities to better hear proceedings in city meetings in their own language. 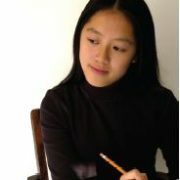 According to the Public Policy Institute of California 29% of immigrants live in households where no one older than the age 13 speaks English “very well.” Among households in California in linguistic isolation Spanish is the most common language spoken at 64%, followed by Chinese at 9%, and Vietnamese at 5%. Including this kind of equipment from Listen Technologies definitely allows members of the League of California Cities to conduct their business with more transparency, respect, and civility, because it ensures everyone’s opportunity to hear in their own language. Every year, the League of California Cities gathers together for their annual expo and conference. This event features a series of discussions, keynote speakers, and breakout classes for all kinds of California city delegates and a huge show floor of exhibitors and a grand prize drawing at the end of the event. Along with Bill Feyling of Smart Cities Prevail, Listen Technologies was very proud to help sponsor the grand prize drawing at this event. When the initial research was being done to see what prize should be given away at the expo, Rebecca Inman from the League of California Cities asked the League’s Legislative Director, Dan Carrigg, if he was aware of any products that all of the members could benefit from and find useful. Carrigg recommended to Inman that she reach out to the Institute for Local Government, because they own Listen Technologies devices and make them available to local agencies, use them at town hall meetings, and other various outreach programs. It seemed that Listen Technologies was the way to go! What city wouldn’t want a prize that could do all of that? And that was that. With the co-sponsorship of Listen Technologies and Smart Cities Prevail, the League of California Cities had their grand prize for their expo. The winner was announced at the expo with the fanfare of a drum roll and we’re sure many applause. Who was the winner? The wonderful City of El Paso de Robles. We’d love to thank everyone involved in this great opportunity and send our congratulations to the City of El Paso de Robles. We hope you enjoy your Interpretation System from Listen Technologies and we’re certain that it will help you conduct your city business with more transparency, openness, respect, and civility. With a thriving ministry in Salt Lake City, Utah, Calvary Chapel had just one drawback: they did not offer Spanish language services, and thus could not adequately serve the growing Hispanic community around them. The solution? 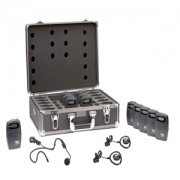 Real-time language interpretation equipment from Listen Technologies Corporation. The first step was to research their options, notes Calvary’s Jim Harris, church administrator, who turned to the internet for his search. It didn’t take long for him to find Listen’s real-time interpretation and assistive-listening products. “We were impressed with the customer service and follow-through” provided by the greater Salt Lake City-area-based Listen dealer, Marshall Industries. The sound quality and competitive prices sealed the deal. The church placed an announcement in their bulletin, asking for volunteers comfortable enough with Spanish to assist with the interpretation. They found two. In the meantime, Listen sent them a demo. As soon as they had it, a family arrived for Sunday’s service needing language interpretation. The husband shared that his wife, who did not speak English, hadn’t attended church in over a year. She used the wireless equipment that morning and hasn’t missed a Sunday since. The interpreters, who take turns between translating printed materials and interpreting services, watch the service on a monitor from a room offstage. They have Spanish/English Bibles printed with side-by-side columns, one in English and the other Spanish. The entire process – from the decision to try Listen’s equipment to the implementation of the system – took only four to six weeks, with assistance every step of the way from Listen’s corporate office and the dealer. Calvary also learned from Marshall Industries that their language interpretation system could be augmented to provide assistive listening. They offer listening assistance now too, thanks to the addition of a wireless transmitter for that purpose. “We were already familiar with wireless,” says Harris, who explains that the pastor uses a wireless mic with the youth group. Still, they were “surprised” by how seamlessly the Listen system worked, how easy it was to install, and how clear they found the sound. Another bonus, unique to this equipment, is that Spanish-speaking churchgoers need not sit in a specified section of the sanctuary. Since implementing the system, Calvary, which in the summer hosts a Church in the Park every Wednesday, has been able to use Listen’s transmitter to facilitate sound at these outdoor events full of fellowship, music and breaking bread (a barbecue is part of the afternoon activities). It is flexibility like this that has made Listen’s equipment and service priceless to the ministry and to its Spanish-speaking community. While lively discussions may ensue in some PTA meetings, most are fairly routine and occur with little disruption. For the Arcadia Unified School District (AUSD), however, disturbances from language interpretation, which accommodates its large Chinese-speaking community, were becoming increasingly noticeable and problematic. Director of Technology and Information Services Robert Leri reported that 65 percent of the population is ethnic Chinese, the majority of those speak Mandarin as their first language. While interpreters in the back of the room and parents did their best to be unobtrusive during meetings, it became evident that the district needed to find a better way to unite the parents linguistically, so they could continue to strengthen the education for the students. Commitment to Outreach AUSD has already been doing a lot of community outreach to help all parents become involved with their children’s education. In addition to the language interpretation at PTA, booster, and other committee meetings, the district also offers community liaisons for ethnically perse families and free English classes to members of their community in an effort to help children more quickly acquire English skills. Following suit, AUSD purchased a Listen Portable FM system to reduce disruptions from language interpretation, enabling them to continue providing the valuable service and conduct more efficient meetings. Taking “Charge” of Interpretation the custom-designed system consists of three LT-700 Portable FM Transmitters with microphones, 50 LR-400 Portable FM Receivers with headphones, and convenient charging carrying cases. The charging cases were a major factor in AUSD’s selection of technology, according to Leri. “Other systems we looked at required a separate cord for each unit. That would have been a cord nightmare,” he said. To facilitate quieter interpretation services and smoother meetings, an interpreter listens to the proceedings through the headphones of an LR-400 receiver set to one of its 57 channels. Then the interpreter speaks the interpretation into the microphone connected to the LT-700 transmitter set to a separate channel, which broadcasts a clear RF signal out a radius of 150 feet. Listeners, equipped with the body pack receivers, hear through the headphones. Each unit has inpidual volume control so even guests who may be hearing impaired can listen to the interpretation clearly. “This system really addresses the needs of the parents, so all of then can understand and participate in their children’s education,” Leri said. The district also intends to use this portable language interpretation system with its bilingual advisory committee, other parent groups, and possibly with students. When managers at Subaru of Indianatake groups of visiting Japanese and American business executives through their 550-acre campus, Subaru needs a tour guide system that handles both language translation and noise control. That’s why ProAudio by Brand’s Richard Tappenden recommended Listen Technologies Corporation. He said Subaru of Indiana, or SIA, had been using a system with pre-set channels that could not easily be switched to accommodate the size of the group, or the number of people speaking English vs. Japanese. “With the Listen system, SIA can easily do the multi-lingual tours,” said Tappenden, ProAudio’s systems consultant and design engineer. “They just tell the people which channel to set their receivers on and they get the right language. With Listen, they have the flexibility they need.” But Tappenden said the managers at SIA were too business-minded to throw away working equipment from their older system. No problem. Tappenden said Listen was easily programmed so that SIA could continue using their old receivers as backup for large groups. Utah-based Listen Technologies Corporation produces wireless sound systems for tour guides and language interpretation, as well as assistive listening and soundfield uses. The small battery operated portable transmitters send sound over FM radio waves, allowing receivers to capture clear, noise-free sound. At SIA, tour guides are able to transmit two languages simultaneously to the touring executives by setting their personal, portable transmitters and receivers to different channels. Whether their tours consist of 20 English speakers and 80 Japanese speakers, or vice versa, SIA can adjust the Listen system accordingly. But SIA has other concerns as well. 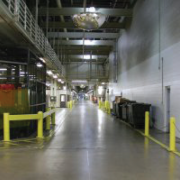 The system needs to be strong enough to transmit clearly over such sound obstructions as the din of the stamping plant, where machines flatten 3,900 pounds of coiled steel and cut it into sheets the size of a car body, at the rate of up to 7,200 pieces per hour. “Listen projects sound directly to the receivers,” Tappenden said. The noise-canceling headsets have the ability to filter out the machine noise from the stamping mill, the grinder, or other machinery. It’s a very tight system. Most importantly, Tappenden said his clients at SIA are extremely pleased. 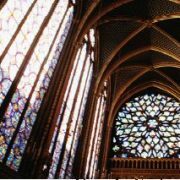 Houses of Worship are finding more uses for assistive listening systems with the availability of products offering increased flexibility along with great sound quality. 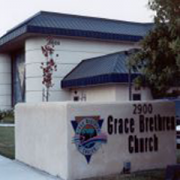 For example, Grace Brethren Church in Simi Valley, California, is using a Listen system not only for assistance to hard of hearing congregants, but also for a hard-of-hearing sign language interpreter. She uses a Listen receiver to listen to the pastor at the podium or other audio over the PA system in order to interpret the spoken word into sign language. As with many Houses of Worship, the walls at Grace Brethren Church are highly reflective for sound. Audio bounces around the room, making it very difficult for the hearing impaired interpreter to distinguish the speech in order to translate it into sign language. To solve this problem, the interpreter now wears a Listen belt-pack receiver and ear speaker to listen to the speech routed through the assistive listening transmitter. Other members of the congregation with hearing loss may also listen to the assistive listening transmission and control their own volume while sitting anywhere in the congregation hall. One member of the audience at Grace Brethren uses a belt-pack receiver with a neckloop. The neckloop works with any T-coil hearing aid and allows the user to significantly adjust the volume in order to hear and understand the service, without environmental distractions that can otherwise be picked up by a hearing aid. This solution has been well received in many houses of worship. With Listen’s LR-600 Wireless Speaker/Receiver, Grace Brethren or any other house of worship can pick up and amplify the assistive listening audio in a nursery or any remote room to listen to the service. No hard wires are needed! In the popular Pixar animated film Finding Nemo, the young and stubborn clown fish, Nemo, proves to his overprotective father that“fin impairment” cannot prevent him from exploring the adventures of the ocean. With the same vigor and ambition, the staff at the North Carolina Aquarium at Fort Fisher is ensuring that their patrons can also savor the aquatic adventures regardless of hearing or language barriers. The Aquarium is using a wireless audio system from Listen Technologies to assist patrons who are hard of hearing as well as offering tours and language interpretation. They acquired the LS-06 Portable FM System from Independence Audio for the job because of its simple operation, intuitive design, hearing aid compatibility, and versatility. “Our patrons really like using the Listen system. They like being able to adjust the volume to suit their individual needs, and it’s so convenient to use with hearing aids,” Aquarium Educator Jackie Harris said. The LA-164 Ear Speaker they use slides around the back of the ear and can be worn over hearing aids or ear plugs. With most tours being populated by seniors, this is a very helpful feature. The interpreter listens to the presentation and simultaneously speaks the Spanish interpretation into the microphone attached to the portable transmitter that comes with the Listen system. The transmitter sends a signal out a distance of 150 feet, and patrons wearing the portable receivers can listen to the interpretation through their ear speakers. Thanks to the perseverance of and listening technology made available by the dedicated staff at the North Carolina Aquarium at Fort Fisher, hearing impaired and Spanish speaking patrons no longer need to “fish” for the words and meaning of the presentations. And they’ll all “hear” the guide confirm that indeed they’ve found Nemo. Things can get complicated in court, especially in a trial with seven young co-defendants. The confusion compounds when the court’s English must be translated into three other languages – simultaneously. That’s the scenario that the Oregon Judicial Department faced recently when seven youths were on trial for alleged rioting. One of the defendants spoke only Spanish, one set of parents spoke only Marshallese and another set spoke only Truukese. The court’s dilemma was to find a way to move the proceedings along without having to wait for three translations each time someone spoke. Enter Listen Technologies Corporation language interpretation system. This product allows interpreters in remote locations to speak into wireless microphones, transmitting their words directly to the defendant. When the defendants answer questions, their words are funneled back through the interpreter into open court. Listen’s easy push-button frequency adjustments allow the court to set frequencies so that two interpreters speaking in different languages can use them at the same time. The systems are permanently installed in seven Oregon courts where they are used daily. A separate portable system goes with Comstock or other interpreters when they travel to remote courtrooms. to the listener. The interpreter speaks into a microphone and a transmitter sends the signal to the small battery-powered receivers worn by the defendants. A headset or ear bud carries the sound to the defendant’s ears. With the Listen system, the interpreter does not have to sit near the defendant. Comstock said that is good for two reasons. Comstock also likes the Listen system for what he called relay interpretation. In one case, when one defendant spoke only a pre-Columbian language known as Mixteco, and no interpreters were available who spoke both Mixteco and English, a third language had to be looped in. So the defendant spoke Mixteco into his microphone, which was wirelessly transmitted to a Mixteco speaker who translated into Spanish. That was wirelessly transmitted to a third person, who interpreted for the court from Spanish into English. Again, all of it was done simultaneously, and from remote locations. Comstock was able to change frequencies by pushing buttons, rather than calling in a technician to reprogram the transmitters to use separate frequencies. Comstock said the ease of changing frequencies made the otherwise complex interpretation relay simple. The frequency agility also comes in handy in courthouses because they often share buildings or are in close proximity with Sheriff’s offices that have large powerful transmitters atop their buildings for contact with officers in their cars. When the frequencies conflict, Comstock pushes a few buttons and sets up on a new frequency, and he’s ready to go. “I’m very pleased with the Listen system,” Comstock said. For more information regarding Listen products, visit their Web site at www.listentech.com. With a congregation of 6000 and three services daily, Shadow Mountain Community Church in El Cajon, California, found a long-term solution for integrating their non-English-speaking congregants: real time interpretation with wireless technology from Listen Technologies. Located in the eastern part of San Diego County, El Cajon is home to the nation’s second largest Arabic population. Shadow Mountain also has a large number of Spanish-speaking members, as well as German and other non-Eng­lish-speaking visiting family members from time to time. Prior to acquiring their Listen system, separate church services accommodated Spanish- and Arabic-speaking parishioners. Timothy Hunten, the ministry’s technical di­rector, looked into how to best address the church’s unique multilingual needs and found Listen Technologies. Now services are more fully integrated, allowing for a greater degree of multicultural fellowship. The real-time interpretation is conducted from five booths, each equipped with a video monitor and headphone allow­ing interpreters to observe what they are hearing during the approximately 90-minute services (sermons, which are the main portion of the interpretation, last approximately 40 minutes). Up to five channels may be accessed during a given service, one dedicated to assisted listening. Hymns, announcements, and dramatic enactments are not inter­preted, but non-English-speaking churchgoers find having their own language right in their ears helps them more fully understand and follow along. 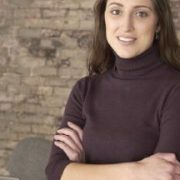 Looking back, the entire acquisition process was really easy, says Hunten, who found Listen’s equipment to be “not only superior in sound quality, but a fraction of the competition’s cost.” The system has been worry-free from the start. Well, almost. The church’s 50 headsets are wheeled out to the lobby on a custom-built cart so churchgoers simply pick up headsets as they enter. “It has been so rewarding to look around dur­ing church services and see so many dif­ferent faces, to have such a clear picture of who we are as a com­munity,” says Hunten, who takes pride in knowing the church’s Arabic- and Spanish-speaking members feel at home, despite the language differ­ences. The system’s assisted listening component has also allowed quite a few elderly members to more fully participate in the church. Impressed with Listen’s quality equipment and customer-oriented approach, Hunten says he has recommended the company to three or four other churches in the area, as well as other businesses that might find such a system useful. “I figure if our four-year-old system is this good, the newer Listen products have got to be even better.” We like the sound of that. Imagine for a moment that you cannot read this. Your eyesight is fine. It’s just that you don’t read, write, or speak any English. Now pretend you’re elderly, with no family, barely able to make ends meet, and experiencing one or more significant health problems that need medical attention. If you’re a bit concerned, so are a lot of other people. According to the latest figures from the U.S. Census Bureau, close to 2 million people in the United States do not speak English. U.S. residents now speak 329 languages, and in some cities, less than 60 percent of the population speaks English. Many are elderly who are unable to receive proper healthcare because of language barriers. 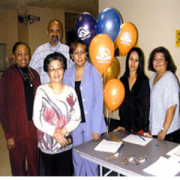 But if you lived in the Los Angeles area, you could take advantage of a Multicultural Healthcare Initiative sponsored by the Angelus Plaza where simultaneous interpretation is conducted for lectures and panel discussions. For instance, when Dr. David Shavelle spoke to a large and ethnically diverse group of Southern California elderly, the audience heard his counsel on cholesterol and heart health in four languages. The Good Samaritan Hospital cardiologist, along with simultaneous translators from Pals for Health, used Listen Technologies Corporation transmitters to send their words over radio waves in English, Chinese, Korean and Spanish. Non-English speaking members of the audience, as well as those who needed auditory assistance in English, donned small wireless receivers and headsets to listen to the doctor’s advice in a language they understood at a volume they could hear.